With a title that bellows its Christian agenda as loudly as The Sound of Music’s hill loving Maria, there’s no danger of seeing this film without knowing precisely what you’re in for. Directed by Patricia Riggen (The 33), it’s a story of shiny happy people squeezed through the wringer, before God gets them out of it. Miracles from Heaven (seriously, that title) goes about telling its true-life tale with all the nuance and believability of a bad TV movie. 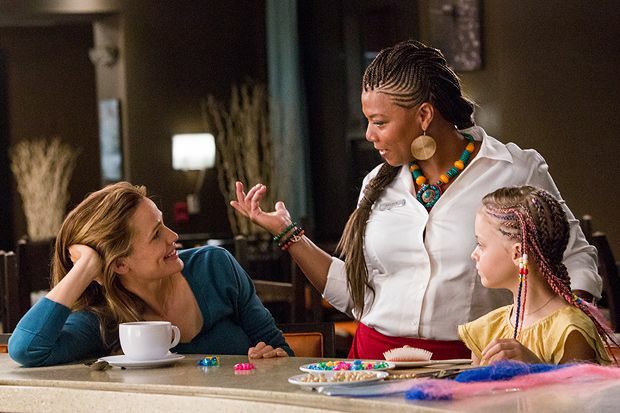 Overtly religious fare doesn’t generally play well in the UK, so that it’s getting a release here at all is likely down to the star power of Jennifer Garner, who plays Christy Beam, a radiant soccer mom with three adorable daughters and a hunky veterinarian husband called Kevin (Martin Henderson). When one of the girls, Anna (Kylie Rogers), is diagnosed with lactose intolerance, to her parents’ visible horror, it raises the intriguing prospect of the movie ekeing a melodrama out of this common condition. Things, however, take a more serious and then frankly bizarre turn. Miracles from Heaven suggests it might be interested in a bit of balance when it criticises the more judgemental members of Christy’s congregation, who accuse the Beams of bringing misery on themselves with their (non-existent) sinfulness. However, that the family are somehow more deserving of a miracle than others awkwardly underpins the entire enterprise, with several characters admitting that they can’t explain why millions are left to suffer. The film’s Christianity is of course not its problem, the fact that it views everything through this narrow prism is: the child of an atheist is doomed; those in the medical profession – with the exception of an irritating Patch Adams-esque doctor (Eugenio Derbez) – are shown to be ineffectual or patronising; and all human kindness is crudely termed a miracle. The world it creates simply won’t be recognisable to anyone other than the most devout. Queen Latifah’s presence here is so brilliantly random / shamelessly tokenistic that it’s actually comical. Nonetheless, for their part, Garner and the young Rogers give it plenty of emotional welly and, as a whole, it’s undeniably (if somewhat dementedly) upbeat and earnest. Those of a wobbly disposition may find themselves momentarily lifted up, but they should be prepared to come back to earth with a bump. Limited release from Fri 10 Jun.